For those of us who have not pierced our ear lobes, my apologies, there really is no question: clip ons are the only choice as well as ear cuffs of course. For others who have pierced ear lobes ( if you are Nigerian chances are your ears were pierced before you had a chance to say ‘dada’ or ‘mama’) then this is a real dilemma! 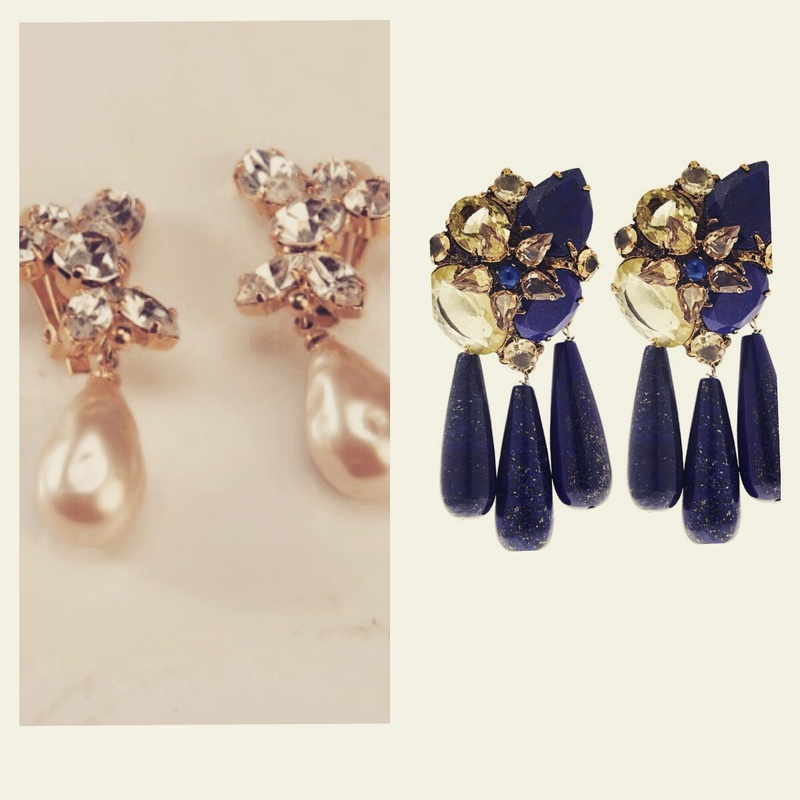 So many times I’ve fallen in love with earrings and so many times I have had to prise myself away from the store or stall simply because the pain that comes with wearing clip on earrings sometimes overshadows the beauty of the pieces. I have had people offer several solutions from ‘don’t wear the earrings till you just arrive at the venue, that way the pain will only start after the event has ended’, ‘push the clip back a bit to loosen the grip over time’ to the classic response of the true fashionista ‘beauty is pain’. I have only given in once, there were a beautiful pair of gold plated, drop earrings made up of three squares attached to each other by gorgeous hooks that I just had to have! To me, jewellery is art and sometimes one has to make sacrifices for art! So tell me, are there any real remedies to the pain that clip on earrings cause? Can a girl really have her cake and eat it too? Or must these beauties tug on our hearts and ear lobes? Please let us know by dropping a comment below! I remember having to remove a pair of monet earrings I treasured so much at an event because of the pressureon my ears which seemed to have spread through my whole body. So off I went back to the store where I got them and yes Zinny’sBox, there is a way to enjoy your clip earrings. Get a flat nose plier, push back the clip part, and very, very, very, gently lift up the middle part of the clip. This part is usually the longer part. If its custume jewelry remember you can break it so be very careful. If its too loose, move it back. I hope I made sense. If you ever need to get your clip on earrings fixed in the UK, Bruce Smith Jewellers on Brighton Road Purley is the perfect place. They also fix other types of jewellery and if you are lucky you won’t have to pay. I actually just convert clip on earrings that I really like into a DIY project. You can find earring hooks and backs online or at any craft store really. Just take off the clip and the rubbery backing (supposed to protect your ears from the clip pressure… yeah right) and glue on the earring back (matching metal hue of course) and your’e set! Freedom AND all day wear! Previous Previous post: It’s black, it’s white….err no it’s blurred lines?